The stitch for week 26 of Take A Stitch Tuesday http://www.pintangle.com/ was Palestrina stitch, also known as Double knot stitch, Tied coral stitch, Old English knot stitch and Twilling stitch. 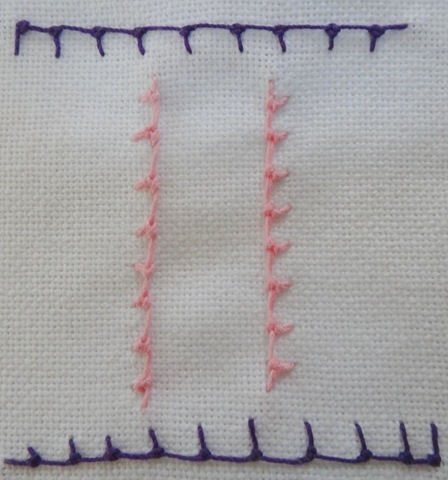 used the Palestrina stitch. There are also some Herringbone and Cable chain stitch as well as silver rick rack on this last quarter of June’s Block. Another months block completed. 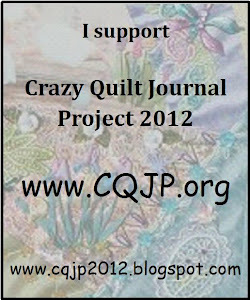 This entry was posted in CQJP, June, Palestrina stitch, TAST. Bookmark the permalink.